As dutiful American consumers, we’ve been taught to believe that choice is good. To that end, the splintering of the automotive market into different niches (four-door coupes, small panel vans, high-riding hatchbacks, etc.) is a positive development for buyers. But while the range of total models from automakers has been increasing, individual variation within a given model range has seemingly been reigned in, from a drastic reduction in build combinations of light-duty pickups to the availability of engines and ala carte options in everyday vehicles. 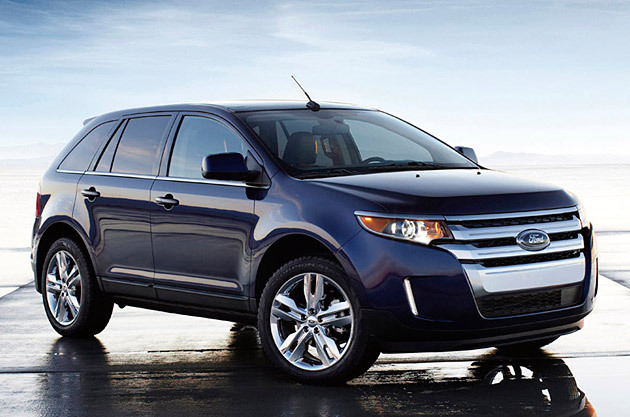 Standing in direct contrast to this trend, however, is the 2011 Ford Edge crossover. Whereas the first-generation Edge has lived since 2006 with a 3.5-liter V6 as its sole drivetrain, the 2011 model will offer no fewer than three powertrain choices. For 2011, the 3.5-liter engine will live on as the Edge line’s bread-and-butter, but it is being joined by Ford’s first production application of a new EcoBoost 2.0-liter four-cylinder turbo, as well as the larger 3.7-liter V6 for the popular Edge Sport. In the case of the 3.5-liter, it produces 285 horsepower and 253 pound-feet of torque, while the Sport’s larger 3.7 Ti-VCT V6 delivers 305 ponies and 280 torques on 87 octane. Ford is not yet releasing power and economy numbers on the EcoBoost engine, but it promises “class-leading” fuel efficiency, noting that the new powertrain should eclipse the original 2006 Edge by some 30 percent. Follow the jump to find out what else has changed for the Edge, as well as Ford’s official press release.